I'm so excited today. 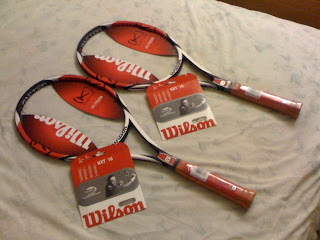 Lan ordered a pair of brand new Wilson K-Factor Tour 90 rackets for me and the order arrived today. 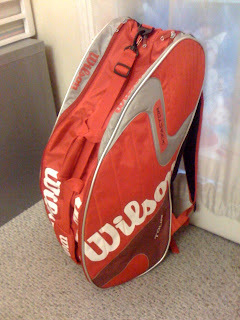 This package came with 4 sets of synthetic strings, tennis bag, tennis stencil, stencil ink, and 12 grips. I'm gonna have this racket restrung Friday. Can't wait to try it out!